James has been a client of the Therapy department and the Comprehensive Recovery Team (CRT) since 2016. Due to a combination of Bipolar disorder and Alcohol use disorder, he had a lot of trouble keeping his housing and moving forward. He was depressed off and on, and had low self-esteem. He would come to the office with little attention to his appearance, and didn’t seem to have the energy or ability to get haircuts or trim his beard. His personal hygiene suffered as well, even after he was housed. 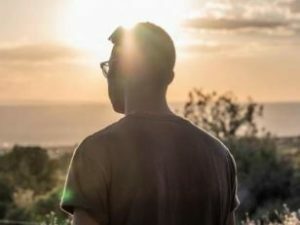 During periods of sobriety, he would do better, but the exhausting symptoms of depression or the impulsive symptoms of mania would drag him back into the same cycle. Like all of our clients, teamwork has been the key to James reaching stability. Medications especially were a challenge, due to some of the more serious side effects of many mood stabilizers. When James was diagnosed with diabetes, he had to change bipolar medications because his previous medication could make diabetes much worse. Finding a new medication plan for him was a challenge. James would come to visits regularly, but his depression didn’t seem to be getting much better. Finally, after several visits like this, James disclosed that he had been drinking heavily again and not taking medications regularly. 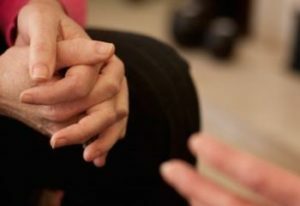 James also sees a therapist regularly and has made progress. With a combination of finding the right medications and his commitment to taking medications and quitting alcohol, many things have changed for James. He cut his hair and beard, started coming to Psycho-social Rehab (PSR) and therapy groups regularly, and is trying to get back into an information technology program (something he was quite good at). James would like to be working, and with stable moods, sobriety and HopeWorks support, his intelligence and motivation will carry him far. At my very first early morning outreach on the streets of Albuquerque, I met Jason and Leroy, two brothers who’d just arrived from Las Vegas, Nevada. They were experiencing homelessness and were not familiar with the resources available in this area. I gave them doughnuts and coffee and provided them with information about our services. Later, our Outreach team discussed Jason and Leroy’s situation, and whether or not we thought we would see them again in the future. Fortunately, we saw them bright and early the following Monday morning. After building trust, I soon discovered that Jason (age 72) had a diagnosis of Alzheimer’s and bipolar disorder, and Leroy (age 66) was his primary caregiver. The brothers’ ultimate goal was to be housed, and the monthly income they received from Social Security was about $1,600, which made it possible for them to live independently. My team and I were able to put the them in a hotel for two weeks while we started the process of getting them housed. We located an apartment building, but the process was slowed by many obstacles. First, we realized that Jason and Leroy had an outstanding fee owed to the Las Vegas Housing Authority, which had been turned over to a collections agency. A kind donor paid for the fee, and we were able to obtain proof of income letters from Social Security. Then, we were told by the apartment building that we were hoping to house them in that there were additional issues on their application. Jason and Leroy grew disillusioned with these delays and were considering a move back to Las Vegas, where they would remain homeless and on the streets. Ultimately, the decision was theirs. Jason and Leroy packed up and headed back to Nevada. We drove to the Greyhound station, and on the way, we passed by the apartment building where they could be housed, if they stayed in Albuquerque. They commented on how nice the apartments looked, but they stuck to their decision and continued on their journey. After we dropped them off at the bus station, we didn’t expect to see them again. To our joy and surprise, Jason and Leroy called us the next morning, letting us know that they had decided to stay in Albuquerque. They wanted to be housed. Even though it seemed like all of the hurdles had been overcome, there was still one remaining obstacle. Jason and Leroy wouldn’t be able to move in until the following Monday, which meant they would need to remain on the streets for another four more nights. Despite our best efforts, we were unable to find a motel that would allow them to stay for free. The brothers were saddened. Our community is one built by individuals full of heart and compassion. We received a call from donors who’d heard this story and wanted to help. Out of the kindness of their hearts, they paid for Jason and Leroy to stay in a hotel over the weekend. After their brief motel stay, the brothers moved into their very own apartment, together. This was truly a collaborative effort between the HopeWorks’ network of programs (Outreach, Housing, Behavioral Health) and our loyal and committed community partners. Thank you for keeping families together and under a safe, secure roof. Johnny entered Assertive Community Treatment (ACT) in February of 2009. Johnny has a long time history of mental illness, accompanied by significant homeless issues in the past. Johnny expressed in the past that he had no hope for his future but when he got admitted to the ACT team he knew everything would be okay, some way, somehow. Since his admission, Johnny has struggled with his mental illness. He has isolated himself and disconnected himself from his High School friends and other people he knew growing up. He used to live independently but was not successful with the day-to-day and being pressured by negative influences. Since he moved into a group home, he has transformed into a beautiful person. Since admission to ACT, he has been very engaging, funny, and interacts well with others and his ACT Peers. He is now participating in groups 100% of the time. Johnny has gained self-confidence and is setting a goal to start learning more and more each day. He is a role model to others. Johnny is an active member in groups and has been working towards community building in his group home. 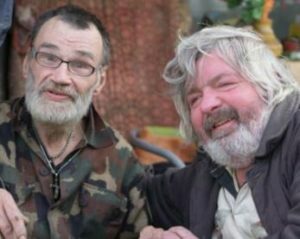 Johnny often leaves his group home to run errands independently, including going to The Wildlife Center to engage in meditation, to the convenience store to purchase things independently, attending medical appointments, and helping others, particularly elderly men who are in need in his group home. Johnny has a history of comforting his peers and also people who just need somebody to talk to in his group home. Johnny is a perfect example of somebody who fits the HopeWorks mission. He can now go forward to assist others who may be homeless or near homeless by providing resources, opportunities, and hope. Johnny is now able to follow his greatest hope: the freedom to choose his own path.